After finishing a big project and preparing classes for the next quarter, I took a little break and used some of the scraps from the unsorted pile. 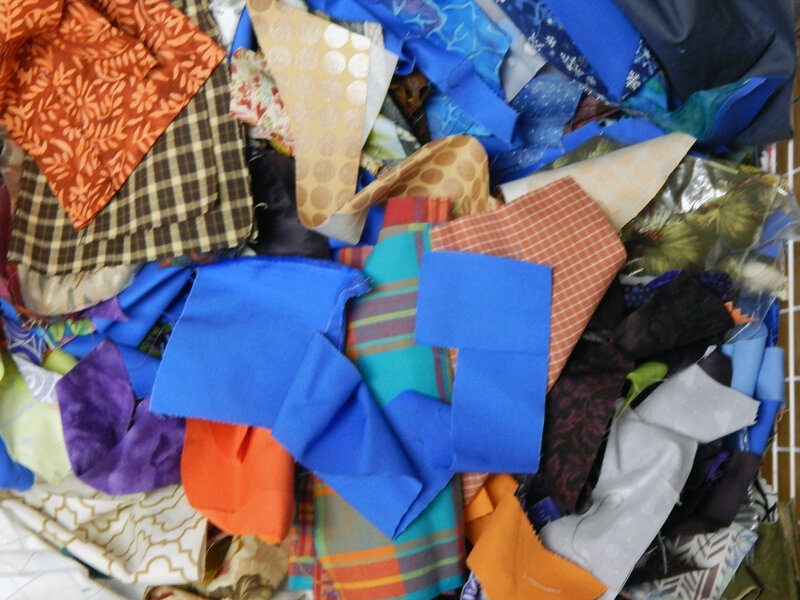 This is where scraps go before I cut them into the standard sizes I use for storage. Cheryl Arkison, who blogs at Dining Room Empire, calls this type of block a slab. Of course the idea of joining scraps as you find them has been used by many people in various ways. I really enjoy making them in a single color, so I made a few when I had a minute. Of course, this didn’t make a dent in the scrap pile, but it was fun! Has anybody out there found a way to make a real dent in the scrap pile? 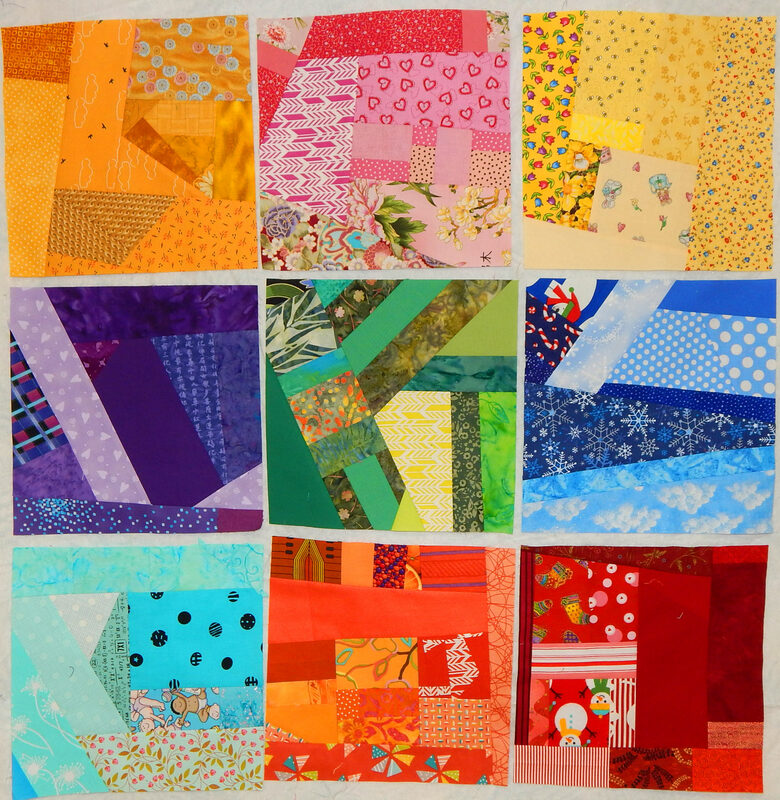 It seems to me to grow and grow, with no decrease in size no matter how many scrap quilts I make! This entry was posted in Modern Quilts, Quilting and tagged quilt scraps, scrap blocks, scrap quilt, scraps by zippyquilts. Bookmark the permalink. The only way I’ve found to really reduce my scraps is to give them away. 🙂 I DO use them, but I make about as many as I use. Wonderful work. I love the colors. I like color coordination too; what do you do with multi colored prints that don’t seem to have a dominant color? Usually they have areas of dominant color, and I cut them up further to isolate those as much as possible. My pink block includes an oriental print that had pink, green, and RED, so cut a mostly-pink section to use and you didn’t even notice the other little bits. We’re all wired. Just think of spending hours cutting perfectly good fabric into tiny pieces! Not sure where I heard it but I call it “found fabric.” Not really found because you do have to make it! It is creative, in itself, and somewhat mindless and meditational, all at once. The scrappy pieces can look very interesting used in other projects!